The reason a lot of this looks so flat right now is that I don't have all the color layering done. 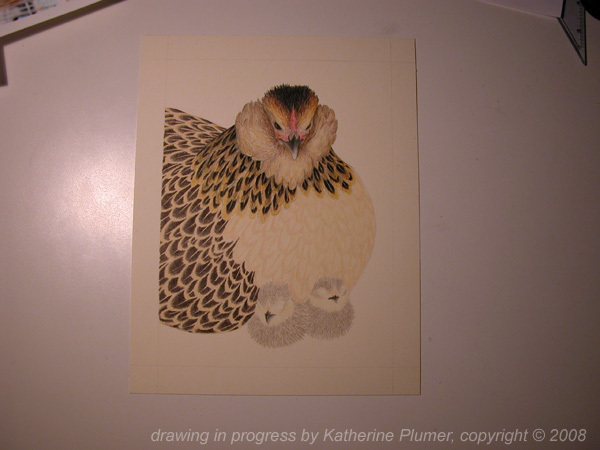 The hen's back/wing/chest are not done. Neither are the chicks. I don't know what I'll blog about when this one's done (which will be by the end of the day Sunday). The other two Christmas projects can't be shown here til they are done, just in case the recipients are checking in (doubtful, but possible, can't chance it).